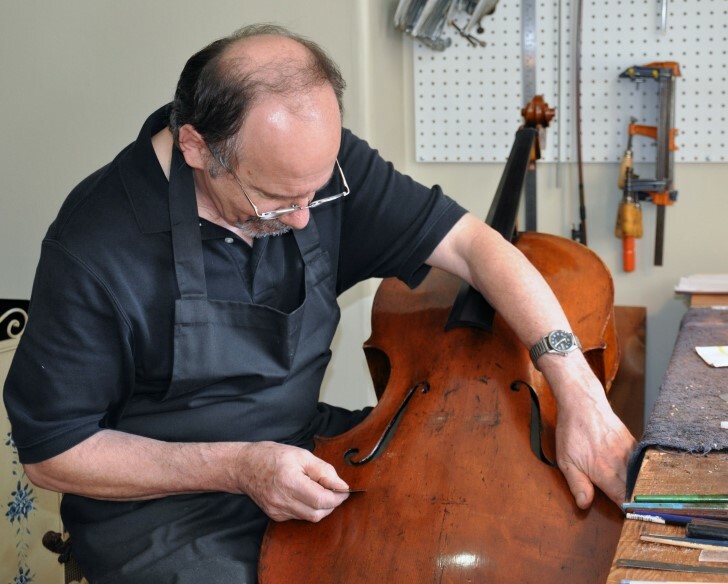 Michael Weller, Violinmaker and Restorer. Michael Weller was born in the Netherlands and began violinmaking as a teenager. He is a graduate of Mittenwald School of Violinmaking. He came to the U.S.A. in 1971 to work for Hans Weisshaar in Hollywood, CA and then became head of the repair department of William Moenning & Son in Philadelphia, PA in 1973. He established his own shop in Swarthmore, PA in 1977 and moved to the Washington area in 1997. Michael and I have now been working together for over 12 years. We work side-by-side but operate our businesses independently. You will find him, as I do, a pleasure to work with. Copyright (c) 2008-2017 Donald M. Cohen, LLC. All rights reserved.